FROM 10 AM-1 PM or FROM 2 PM-5 PM. to our Book Sale in meeting room! from 1-3 pm. No registration. Note: One-time PLACE change..."WRITE IT & READ IT"
program! No registration. Walk-ins welcome! Friday, May 3rd at 2 p.m.
also have a plan B in place. 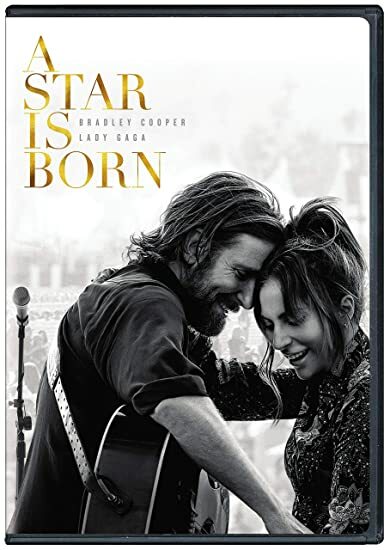 Wednesday, May 15th at 2 p.m.
A Star Is Born - Starring Lady Gaga & Bradley Cooper. Oscar Favorites! A Don't Miss It, Fantastic Movie! Movie Madness - 3rd Thursday of every month. Thursday, May 16th at 1 pm. No registration. The Parma Public Library welcomes Melanie and Len Ippolito to its Gallery for a first time joint show of work by these very talented artists. Please come and enjoy! See what we've been reading at our Day and Night Book Discussions.....Follow the "Book Discussions" link below!